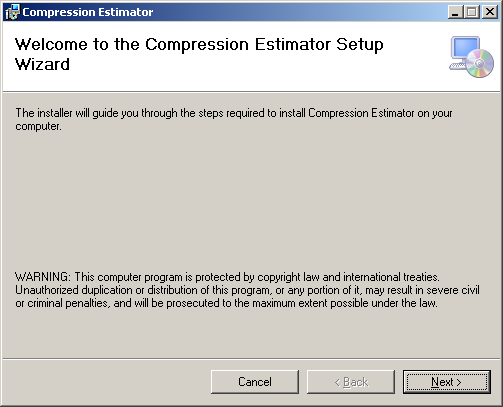 SQL Server Compression Estimator is a free tool available through CodePlex (http://ssce.codeplex.com/) which helps you in estimating the best compression for your SQL server objects. 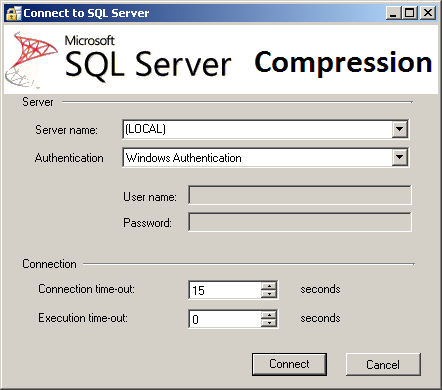 It estimates both Row and Page compression and also provides option to generate script for altering your SQL Server objects to implement compression. 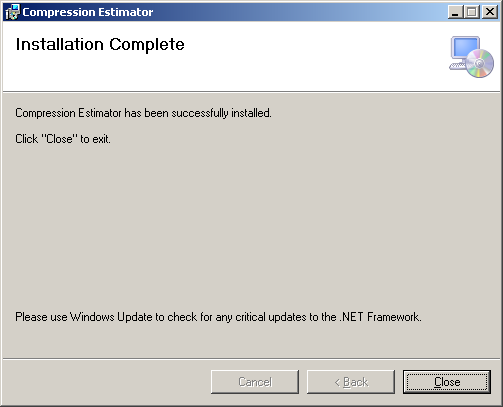 My great thanks to MajikbyboB for providing this tool to the community for free. 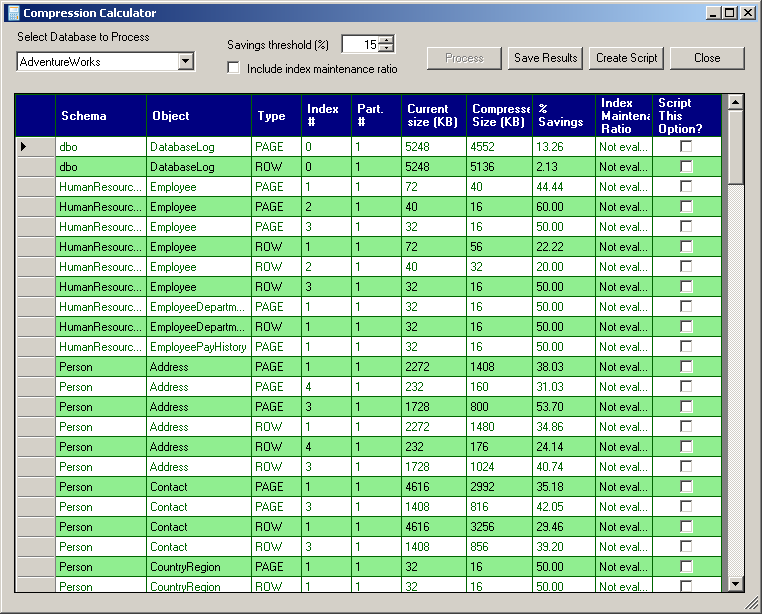 Click on Database combo and select your database, and then specify the savings threshold. If you want to include index maintenance ratio, select the “Include index maintenance ratio” check box. 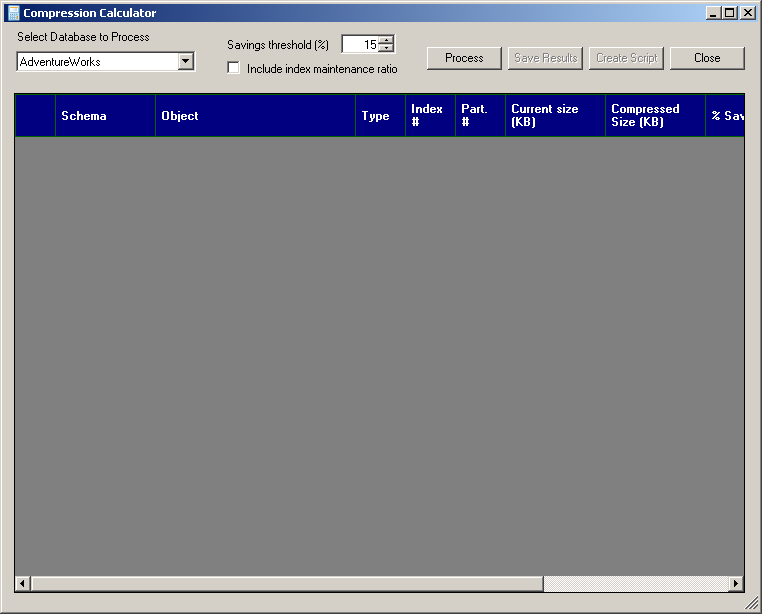 You can save the estimation results as CSV file by using “Save Results” option for your reference.